#4. Philomath Philomath sits along the Oregon Coast Range at the base of Mary’s Peak. This quaint Oregon town enjoys scenic mountain views with temperate coastal weather that encourages residents to enjoy the great outdoors. The Philomath Fire and Rescue Department earned national recognition for is wildfire prevention and preparedness programs from the National Firewise Communities Program. This is just one example of Philomath’s ability to band together and create a safe community for everyone.Locals and visitors alike enjoy the numerous wineries that litter Philomath. To get a taste of what Philomath wineries have to offer, the town organizes an annual wine walk that encourages attendees to take advantage of Philomath’s local businesses. Share the good news! 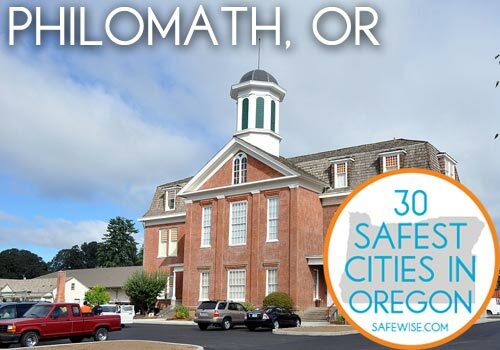 Philomath is the fourth safest city in Oregon!